Today at GTC 2019 Nvidia launched a new member of the Jetson family: The new Jetson Nano. 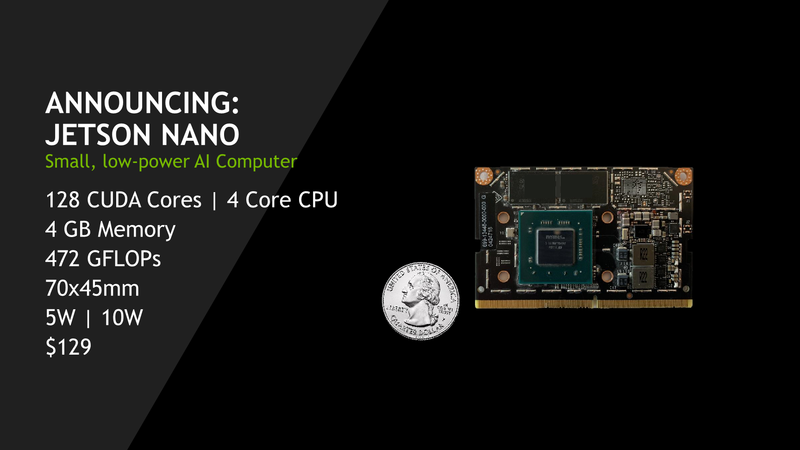 The Jetson family of products represents Nvidia new focus on robotics, AI and autonomous machine applications. A few months back we had the pleasure to have a high level review of the Jetson AGX as well as the Xavier chip that powers it. The biggest concern of the AGX dev kit was its pricing – with a retail price of $1299, it’s massively out of range of most hobbyist users such as our readers. The new Jetson Nano addresses the cost issue in a quite dramatic way. Here Nvidia promises to deliver a similar level of functionality than its more expensive Jetson products, at a much lower price point, and of course at a lower performance point. 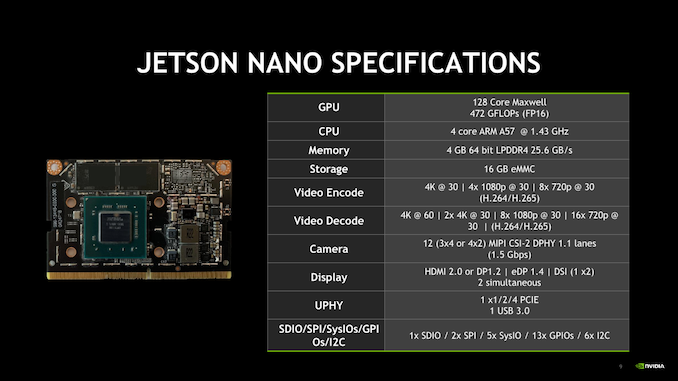 The Jetson Nano is a full blown single-board-computer in the form of a module. 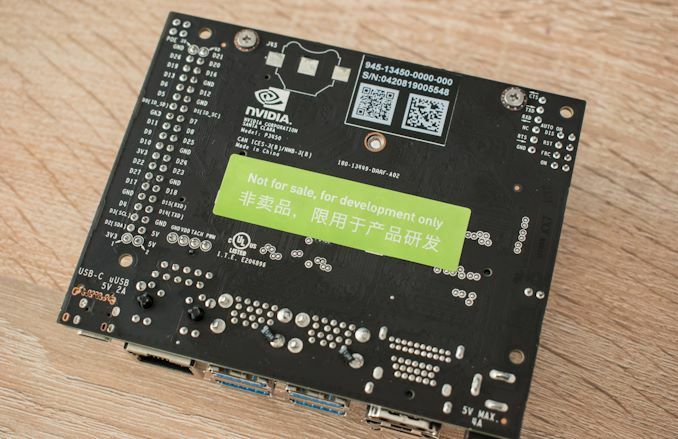 The module form-factor and connector is SO-DIMM and is similar to past Nvidia modules by the company. 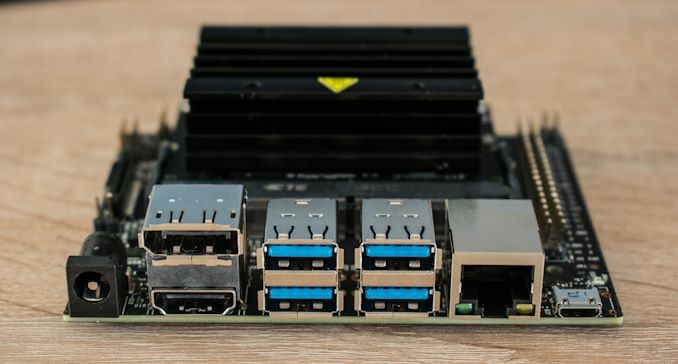 The goal of the form-factor is to have the most compact form-factor possible, as it is envisioned to be used in a wide variety of applications where a possible customer will design their own connector boards best fit for their design needs. At the heart of the Nano module we find Nvidia’s “Erista” chip which also powered the Tegra X1 in the Nvidia Shield as well as the Nintendo Switch. The variant used in the Nano is a cut-down version though, as the 4 A57 cores only clock up to 1.43GHz and the GPU only has half the cores (128 versus 256 in the full X1) active. The module comes with 4GB of LPDDR4 and a 16GB eMMC module. The standalone Jetson Nano module for use in COTS production will be available to interested parties for $129/unit in quantities of 1000. 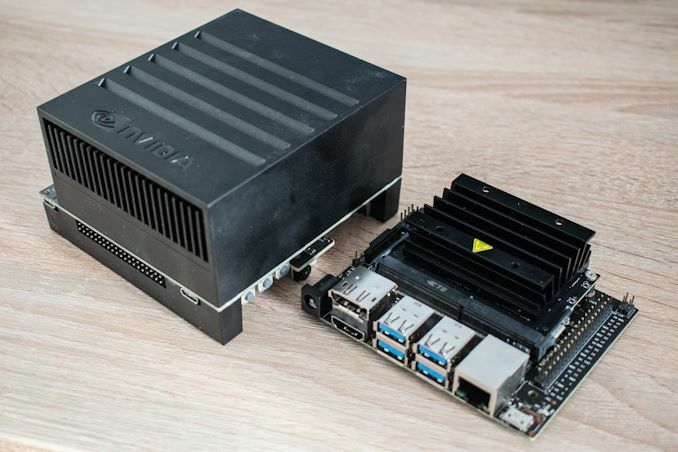 Naturally, because you can’t do much with the module itself, Nvidia also offers the Jetson Nano in the form of a complete computer: The Jetson Nano Developer Kit. 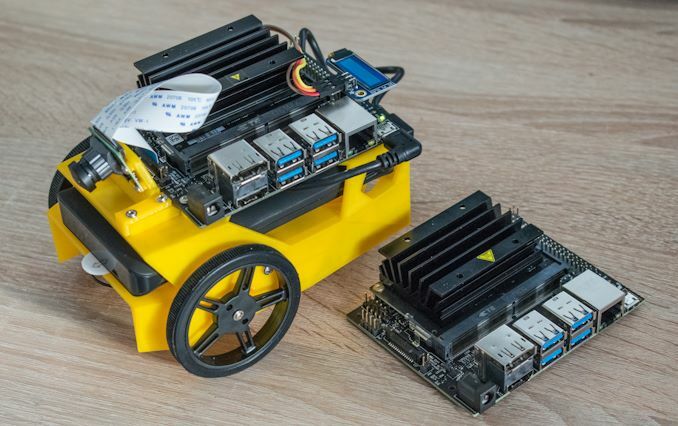 Among the advantages of the Kit is vastly better hardware capabilities compared to competing solutions, such as the performance of the SoC or simply better connectivity such as 4 USB full (3x 2.0 + 1x 3.0) ports, HDMI, DisplayPort and a Gigabit Ethernet port, along with the usual SDIO, I2C, SPI, GPIO and UART connectors you’re used to on such boards. One even finds a M.2 connector for additional WiFi as well as a MIPI-CSI interface for cameras. 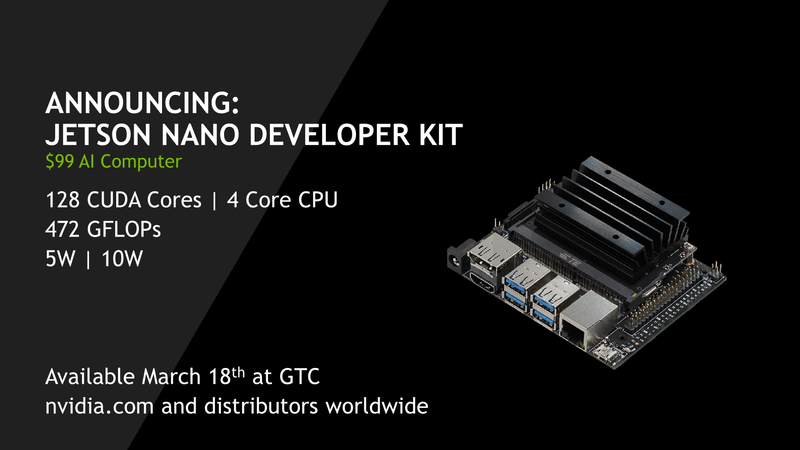 The Jetson Nano Development Kit can be had for only $99. One way Nvidia reaches this price is through the omission of on-board storage, and the kit is driven purely by microSD card. Availability starts today. We have the Jetson Nano in-house and will seeing what fun things Nvidia cooked up for us soon! Why not just get a Shield TV for $160 if you want this as a HTPC, or for emulation? It can join the Odroids and various other boards as yet another nerdy kid that can't hang out with the Pi jocks. The odroids have quite some traction, but this thing probably is better supported. The main problem the alternatives have is they are limited often to one specially adapted linux distro with almost no post sale support and shoddy closed source drivers.